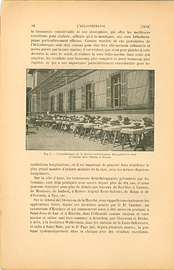 Primary texts of the late 1890s and early 1900s indicate that a shift began to take place in the way physicians, physicists and even the general public perceived the significance of sunlight. 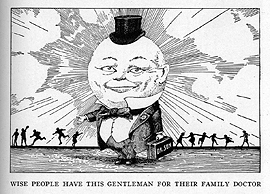 John Harvey Kellogg (1852-1943) – of Kellogg’s Cornflakes fame – declared that he had been using sun baths in Michigan since 1876 in his book, Light Therapeutics (1910). Kellogg experimented with many therapies, including both natural sunlight and electric light, for his patients at his sanatorium, Battle Creek. Known as the "High-Priest of the modern Sun-worshippers", August Rollier (1874-1954) was the most famous of heliotherapists. 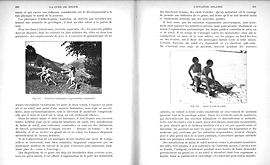 He created several outdoor sanatoria in the Swiss mountains, around Leysin, for tubercular adults and children. Rollier advocated a total body treatment to natural sunlight, not simply for specific lesions on the surface but for a holistic, immune-boosting regeneration of the whole body. 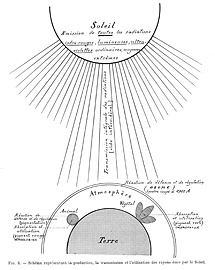 The sun's rays, schematic diagram. Heliotherapy on the Mediterranean, photograph. 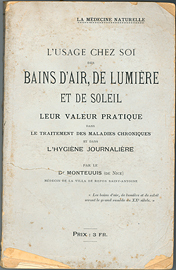 L’Usage Chez Soi des Bains d’Air, de Lumière et de Soleil, cover. Outdoor sun treatments, two plates. 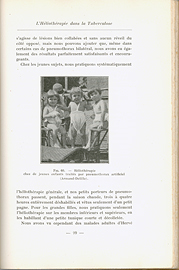 Child patients of Dr. Armand-Delille, photograph. 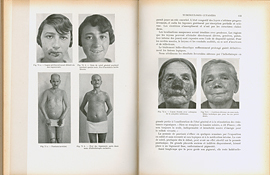 Tuberculosis treatments, before and after photographs.